When I do a Beer of the Week, 99% of the time it is a beer which I've never had before and from a brewery that I have not researched and written about. This week is exciting for me as not only have I fulfilled those first two requirements, but I trying a new beer style, one which I've never heard of before, a Schwarzbier! Schwarzbier simply means "black beer" in German. Although in a glass it looks much like and English Ale, it is a black lager, one that usually comes in around 5% APV. It is supposed to be a malt-forward beer with very little hop bitterness, being described as "soft, rich and mild". Schwarzbier is supposed to be to lager, what porters and stouts are to ales. The style is not new. In fact, it was in 1543 that the original Schwarzbier was first mentioned in written records when it was brewed in the tavern of an inn in Bad Kostritz in central Germany. 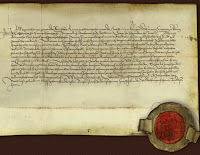 In 1696, the tavern was taken over Counts of the House of Reuss as ""Ritterschaftliche Gutbrauerei" (Knights Manor Brewery). 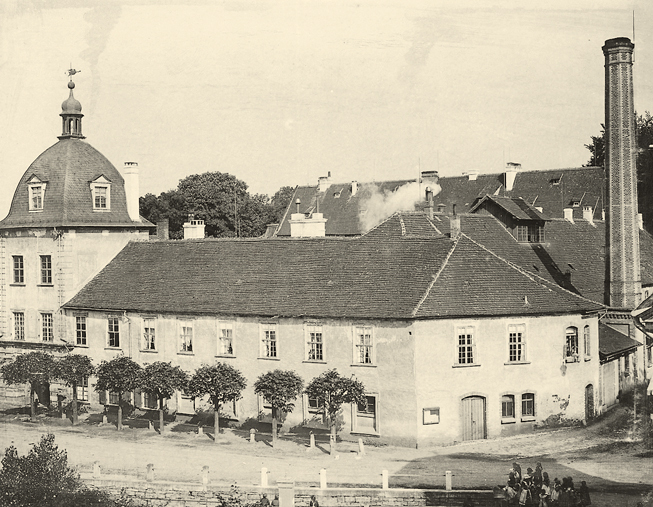 The company became Kostritzer Brewery in 1791. The style started to die out in the early decades of the 1900s. With the first world war, it was unpopular to drink German-style beers outside of Germany. 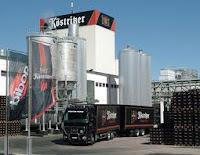 The Kostritzer Brewery kept up its limited production of the style. In the 1920s, Bitburger made a bid for the company but was turned down by the family owners. Despite the second world war and 40 years of Communist rule, the company still plodded on. The Berlin Wall came down in 1989 and a year later Germany was reunified. 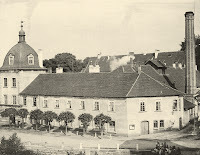 In 1991, Bitburger Brewery bought the brewery but kept its name and facilities. With reunification came a new found popularity in the beer style, unknown to Western Germany for decades. In 2009, over a million barrels of Schwarzbier was produced in Germany. About a third of that was brewed by Kostritzer. Enough talk. Time for a taste! The beer pours black with a brownish head. Due to its darkness, I expected aromas of coffee and chocolate but none were present. There is a faint maltiness but not much else. The head disappeared fairly quickly leaving behind nice lacings. Surprising, this is a light tasting beer. There is some light chocolate taste and some sweet malt. A very slight bitterness comes in on the very short clean finish. Had I been blindfolded when I first tasted this beer and then asked to say what colour it was, I certainly would not say black! I am unsure what to think about this style of beer. Its very light taste suggests a 4% but comes in higher at 4.8%. Its mild flavours would have me pass on this beer but I am sure glad I tried it. I would like to try other Schwarzbier's to see how they compare to this one. It's light and refreshing for a warm Saturday afternoon. I must say that I enjoyed the second one more than the first but still there are other beer styles I would enjoy more on a day like this than a Schwarzbier.